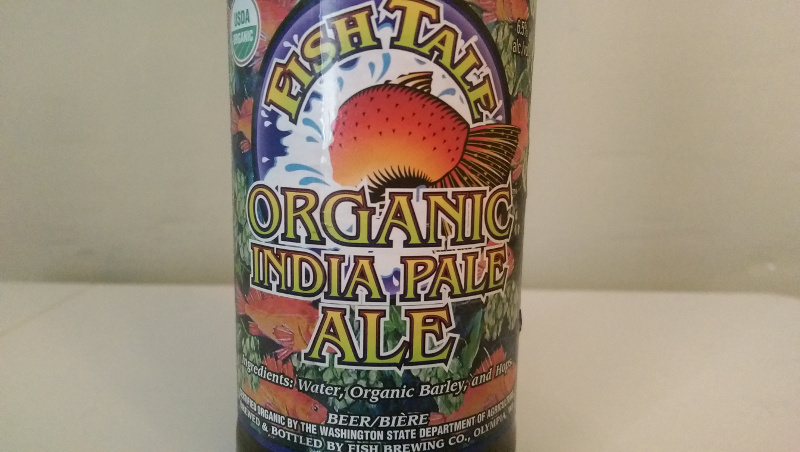 Beer Profile: Fish Tale Organic IPA – Food. Beer. Stuff. Good news everyone, the beer fridge is stocked and ready for an additional 20 editions of Beer Profiles. For today’s, I check in with the west coast brewer Fish Tale Brew Pub and their organic IPA offering. All Fish Tale brews are made with organic Barley, which more or less means that pesticides are not used in the production of the barley grain (more organic info). I would be remiss to not mention that many craft beers are organic anyways but to get the label one has to go through a certification process which, like all things government, is full of red tape and lengthy. So hats off to Fish Tale for getting it done. Lets take a good look at this IPA. Fish Tale IPA comes in the usual brown long neck with a label that features a fish swimming through a sea of hops. 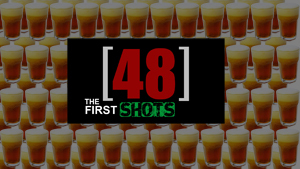 I can only hope this alludes to the drinking experience I will soon be partaking in. 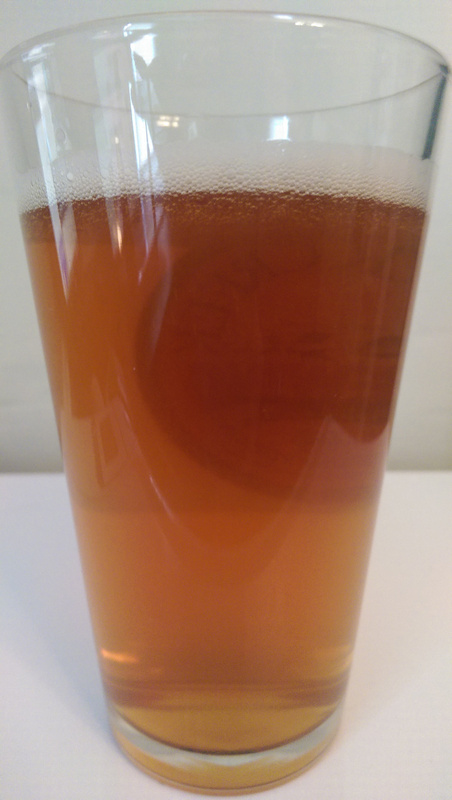 Poured, Fish Tale IPA is a rich, slightly hazy amber color. Light carbonation is evident as I struggle to get a two finger head. The head retreats quickly leaving a thin lace around the rim. Fish Tale IPA pours an attractive amber with a low carbonation head. I can’t quite put my finger on anything specific with the first sip but I do like how it taste. The smell has a similar effect on me but I get the faint hint of grains. Not exactly swimming in hops like the label promised but I do notice some bitterness even with the hops perhaps a bit over balanced to the barley. Not one to be deterred, I continue on my journey. I start to notice a faint woody flavor, probably due to the use of Pacific Gem Hops, which is not unwelcome in the least. I also begin to notice more at the nose as a fruity almost blackberry type of aroma hits the senses. This is an IPA which may just be a little bit over-balanced for my tastes. I like what I am drinking for sure but I wish the hops made more of an appearance. They are present but the pale and crystal malts are stealing the show. Fish Tale IPA leaves a slight lacing as consumption ensues. Fish Tale IPA is a medium body beer and I find it goes down quite light and easy. Nice mouth feel with subdued carbonation. As the beer warms up I pick up an oily presence as well. I do really like the end result of this beer taste-wise but I feel like they may have missed an opportunity to give the beer some real character by using too much of a malt backbone. 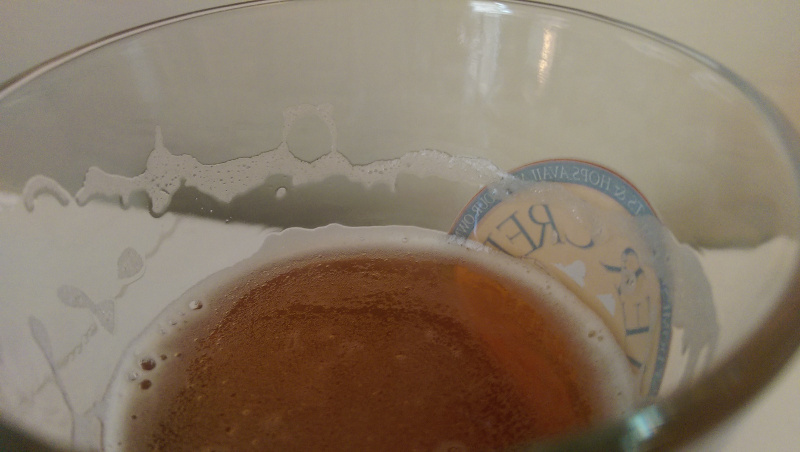 The lacing gets fainter as I make my way to the bottom of the glass. I begin to notice a faint smell of alcohol which is surprising given the relatively low ABV of 6.5%. I enjoyed my glass of Fish Tale IPA but I can’t help being reminded of what could have been and that is the impression I am left with. Have you tried Fish Tale Organic IPA? What are your thoughts? Lets talk about it in the comments below.